As such, copper is a sustainable material that is pivotal to building the circular economy. 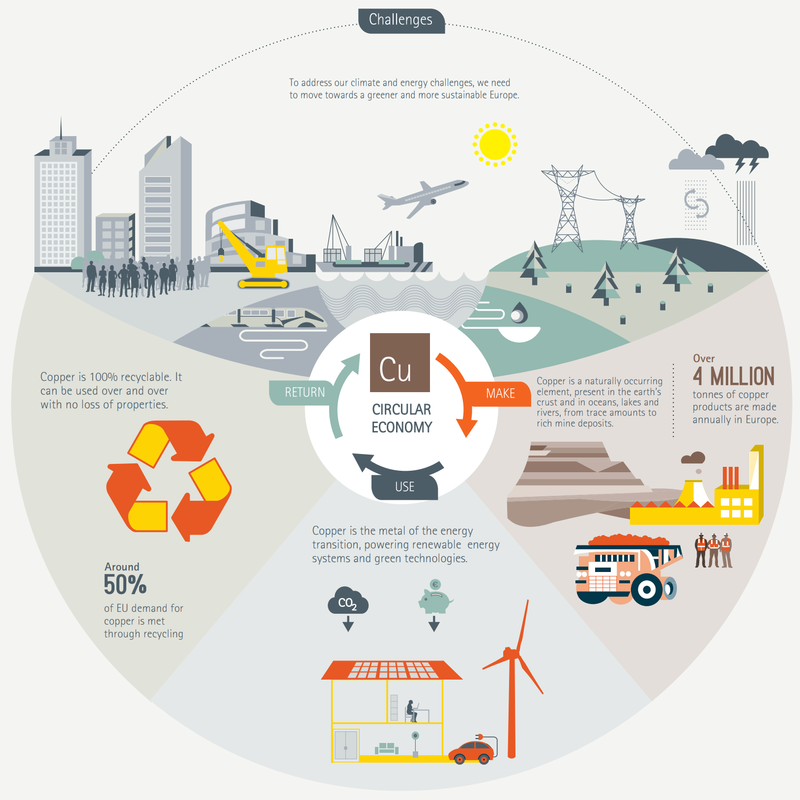 Make: Responsible mining and successful recycling help make copper sustainable and resource-efficient. Use: Copper is the metal of the energy transition, powering renewable energy systems and green technologies. Return: Copper can be recycled repeatedly without any loss of performance, and recycling requires up to 85% less energy than primary production. Globally, this saves 40 million tonnes of CO2 annually.